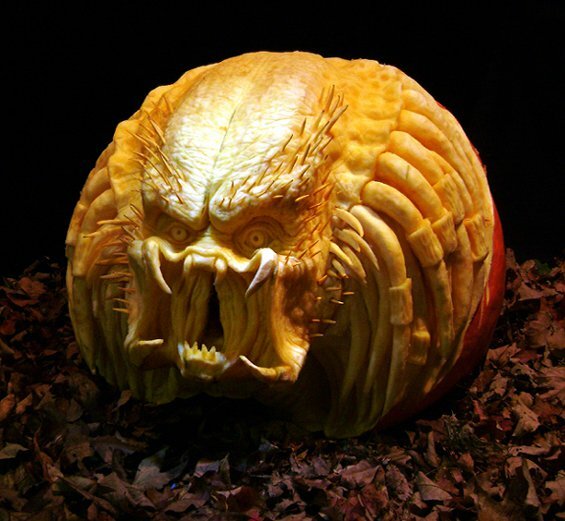 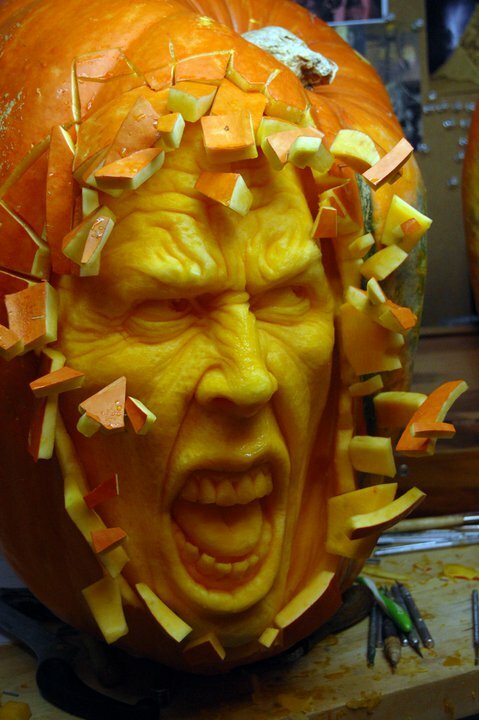 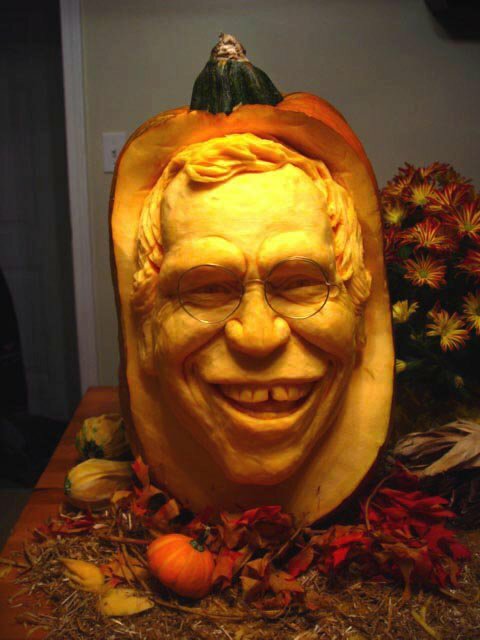 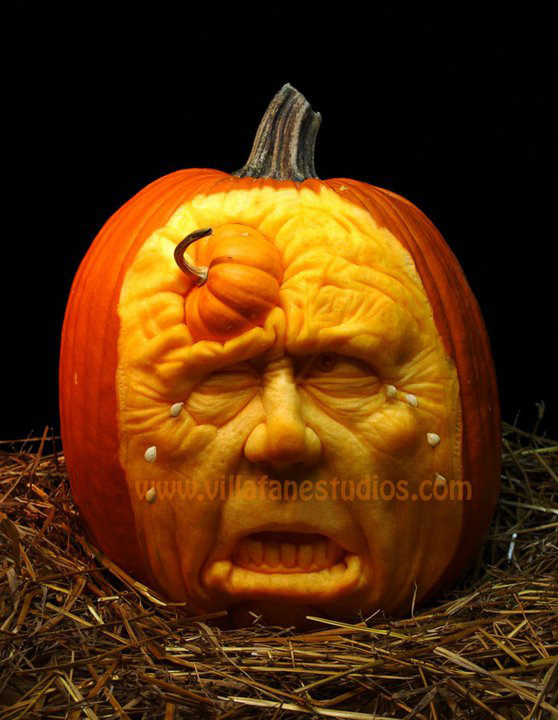 Food sculptor Ray Villafane of Villafane Studios in Arizona creates amazing 3D pumpkin carvings including a particular awesome one in the likeness of talk show host David Letterman. 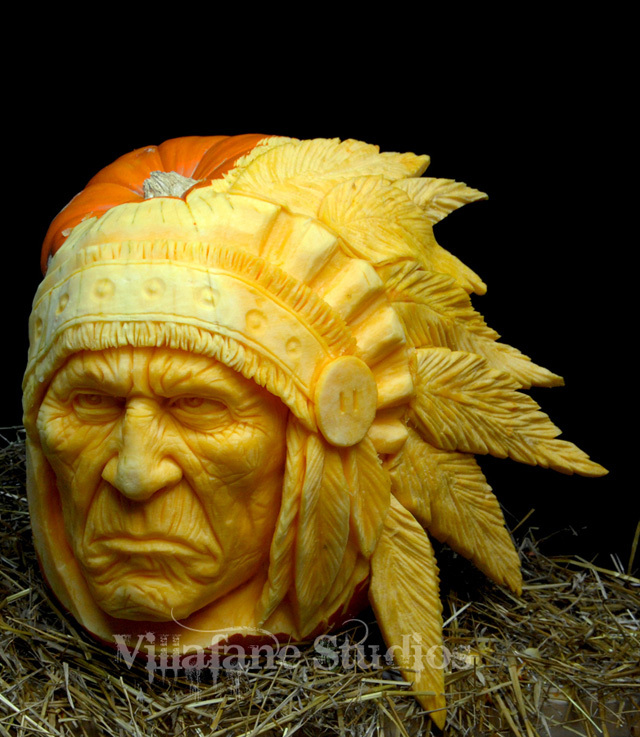 Home of the most gourdgeous pumpkins on the planet. 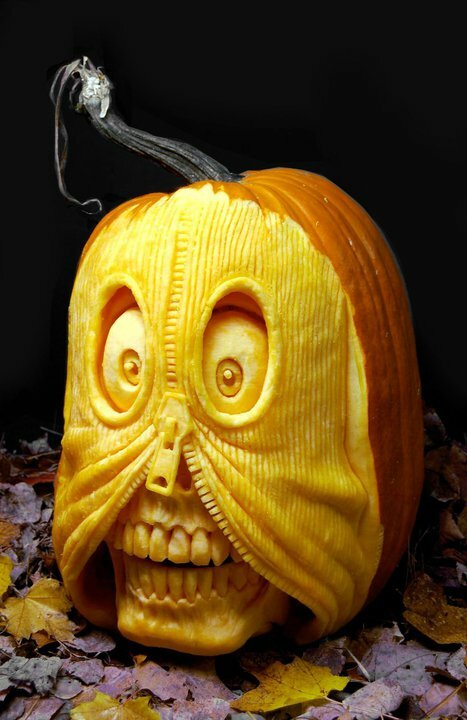 Just recently he began testing out a creepy one outfitted with animatronic eyeballs.